In the summer you warm, hot or unbearably hot? The street is cool, you are cold and you freeze? Despite the freeze in the stuffy room? How to say it all in English, so as not to miss the barely noticeable difference between the «heat», «warm», «cold», «frost» and «cool»? Consider the most used words to express the air temperature, the body and objects, as well as phrases that help to tell the other person about their feelings. Let’s start with the cold weather in English. Despite the fact that outside the bright sun and the heat of summer, a little cool does not hurt, right? Talking about the weather, in the Russian language, we often use the word «cold», «cold», «cool», «frosty». In English, the basic meaning of the word in such a cold. A cold January morning. — A cold January morning. This is the coldest winter we’ve had for years. — This is the coldest winter in recent years. It’s cold (= the weather is cold). — It’s cold outside. Put your gloves on. It’s cold outside today! — Wear gloves, now it’s cold outside! If you want to focus on is that you are very cold, cold is extremely unpleasant, then used phrases freezing cold (freezing — freezing) or bitterly cold (bitterly — brutally strong). As a noun the cold has the same meaning as the cold weather. It is used when the speaker wants to mention that it is unpleasant and uncomfortable in this weather. A bitterly cold north wind. — Piercing north wind. It gets freezing cold at night in the mountains. — At night, in the mountains it gets very cold. Some in. Do not stand out there in the cold. — Come on. Do not stand on the street in the cold. If the cold is pleasant, we use the word «cool.» In English, the word cool. It is especially appropriate when describing the coolness that followed hot weather. Chilly cold, but bearable, perhaps even colder. Although the days are very hot, it’s much cooler at night. — Although the days are very hot, much cooler at night. A chilly morning in April. — Cold morning in April. Frosty word should be used when talking about very cold weather, when everything is covered with a thin layer of frost. In such weather, the sky is usually clear and blue. Translation — «frosty». A similar in meaning and word of freezing — freezing so that the frozen rivers and lakes. If there is a strong cold wind, and the earth is covered with ice, appropriately called the weather icy — icy, very cold. If it’s cold outside with the rain or snow, English speakers use the word wintry — winter. A bright frosty morning. — A clear frosty morning. The freezing weather continued all through February. — Frost continued throughout February. The next day was icy cold, and frost covered the ground. — The next day, it was very cold and the ground was covered with ice. Wintry weather. — Winter weather. Come and sit by the fire. You look cold. — Come and sit down by the fire. You look frozen. Dad, I’m cold. Can I turn the heater on? — Dad, I’m cold. Can I turn on the heater? He woke up in the middle of the night feeling cold. — He woke up in the night because it was cold. I was shivering in my thin sleeping bag. — I was shivering in his thin sleeping bag. We stood in the doorway shivering with cold. — We stood in the doorway, shivering. Often used the phrase «goose bumps» also has its equivalent in the English language to have goosepimples / goosebumps. Why is it always so cold in this office? — Why is it always so cold in the office? It’s much cooler downstairs. — On the ground floor is much cooler. I slept in a chilly little room at the top of the house. — I slept in a cold little room at the top of the house. The heating broke down and it was freezing in classrooms. — The heating system has failed, and in the classes was very cold. If the room is a draft, there is a word draughty, which translates as «being in a draft» — a draughty old farmhouse. The food was prepared, but that is cool, called cold food. Get cold — an expression signifying the process of cooling. If you drink or the food is completely cooled, but should be used hot, you can call them stone cold (as cold as a stone). By the time I’d finished talking on the phone my coffee was stone cold. — By the time I finished talking on the phone, my coffee is completely cold. Soft drinks — cool drinks. Chilled food — food that has been specially cooled with ice. For example, a bottle of chilled champagne — a bottle of chilled champagne. If food or drinks are frozen, they are called in English frozen food and drinks. All I had in the freezer was a couple of frozen pizzas. — All that I had in the freezer — a couple of frozen pizzas. As you can see, the word cold translates as «cold». It is its basic meaning, but there are also others. Thus, it is possible to use when speaking of surly and indifferent people (cold person), as well as those people who are not interested in something that is unconscious or exhausted. Cold as a noun has translated as «cold» or «runny nose «. In the courtyard of the summer, so English language learners just need to navigate the weather in English. 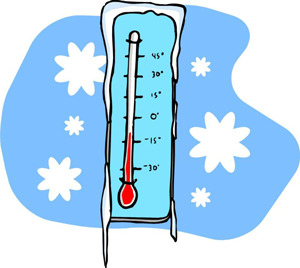 We will review the vocabulary that is used to describe the temperature characteristic for this time of year. As a basic word take hot — hot. «Hot» is undoubtedly a loose concept. The subject for one reason or another can be a little hot, strong hot, boiling hot. Very hot objects, especially those that are lit at the time of speaking, can be described by the phrase red hot. Boiling hot — as hot as boiling water. In fact, so characterize liquid that boils or recently boiled. For example, boiling tea, or boiling hot water. In fiction you can often find the words scalding hot — scalding. Eat your dinner while it’s hot. — Eat your dinner, while it is hot. The coals in the fire were glowing and red hot. — Coal fire was burning and was red hot. In English, there are many phrases to transmit different shades of heat: hot, boiling hot, broiling (spoken version), baking hot, sweltering hot. The differences will become more apparent in the examples. The Gobi Desert is one of the hottest places on Earth. — Gobi Desert — one of the hottest places on Earth. It was too hot to play volleyball. — It was too hot for volleyball. A boling hot day in August. — It is a hot August day. The broiling heat of a Mississippi summer. — Summer heat Mississippi. The desert is baking hot in summer. — Here in the desert is very hot in the summer. It was the sweltering summer of 1995. — It was a hot summer in 1995. The heat-wave in English heatwave. The heatwave continued throughout August and into September. — The heat-wave lasted from August to September. Noun generalizing all the above words — the heat. Also, the weather can be hot, but moist when it’s stuffy and hard to breathe. To characterize this medium are used words muggy and humid. Note that the humid — a «book» word, while muggy often used colloquially. It was a hot, humid summer night. — It was hot and sultry summer night. The explanatory dictionary defines the word Longman warm so: a little hot, but not very hot, especially in a way that is pleasant. In the Russian language, as many have already guessed, the word translated as «warm». The warmth — heat (noun). I did not want to get out of my warm bed. — I did not want to get out of his warm bed. When it comes to warm food and drinks, use the word lukewarm. It is noteworthy that such food is not warm in a positive sense. It either has to be hot and cool, or was cold and hot. The bartender handed me a mug of lukewarm beer. — The bartender handed me a mug of warm beer. The coffee was only lukewarm. — Coffee was already warm. 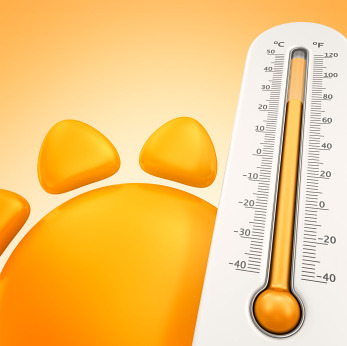 To say that you have increased body temperature, you can use a few words and phrases: hot, boiling (spoken language), feverish (feverish), to have a temperature. All of these words can also be used if you have a normal body temperature, and you mean the sensations associated with the air temperature. If the heat that you feel nice, used the word warm. The travelers were hot, tired and thirsty. — Travelers was hot, they were tired and weary lust. I’d like a cold drink — I’m boiling! — I want a cold drink — I’m burning! If you have a temperature, go to bed and have plenty of drink. — If you have a fever, you go to bed and drink plenty of fluids. Taste food (spicy, spicy, spicy). Feelings of a man who is passionate about something (passionate, violent, passionately carried away). Negative emotions (heated, irritated, overwrought). Places and situations (dangerous, risky). Relationship something fashion (fashion, successful, has the demand). So, did you meet with key words used in the English language to express feelings related to body temperature, air, and food items. I am sure that the material in this article is useful both for beginners to learn English, and advanced students!